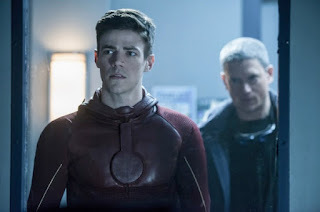 The CW's The Flash - Episode 3.16 "Into the Speed Force"
The CW's Legends of Tomorrow - Episode 2.14 "Moonshot"
The CW's Arrow - Episode 5.16 "Checkmate"
Due to the demands of Peak TV, it is becoming more and more difficult for this website to devote the time to full length episodic reviews. And yet, there are still thoughts to be had about the ongoing adventures on a number of series. As problematic as they may be, the Arrowverse shows on The CW are having interesting and engaging seasons at the moment. So I thought it would be good to still write down a couple of brief thoughts about each episode on a weekly basis. Of course, you can still expect full reviews for premieres and finales. 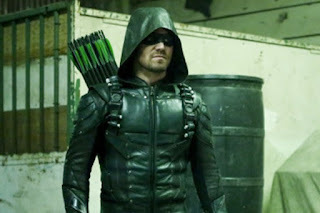 If The CW should make screeners available, those episodes would get detailed analysis as well. But for now, this will be the way to continue to provide content for these shows while also being a lighter workload for me. 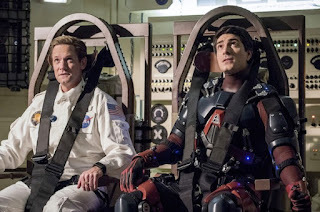 The Flash - "Into the Speed Force"
Legends of Tomorrow - "Moonshot"